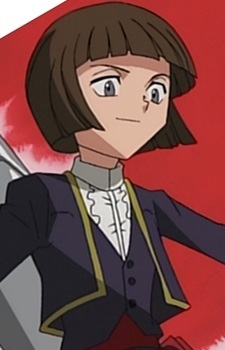 Ashil (Known as Basil in the English dub) is a follower of Hao who took Boris' role of being the first on screen victim of the Archangels. Ashil was rather cocky, believing it would be easy to kill Yoh and his friends because of his easily regenerating spirit. Ashil was also revealed as having deep feelings for Hao. Ashil is jealous of Hao's interest in Yoh, allowing his deeper feelings to overpower his loyalty. He defied Hao by trying to "accidentally" kill Yoh when he was ordered to have Yoh live. He is killed by the X-Laws.